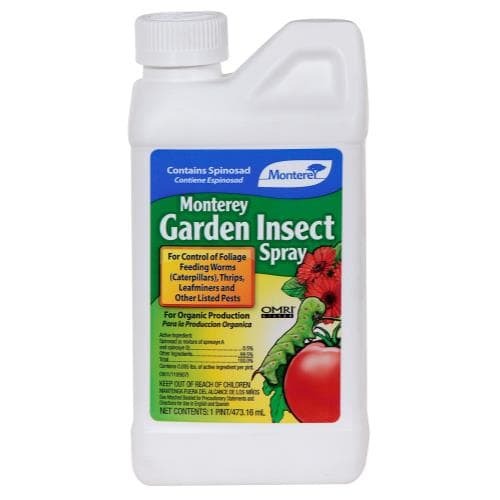 For control of foliage feeding worms (caterpillars), thrips, fire ants and other listed pests in: Lawns, outdoor ornamentals, vegetables, apples, citrus and stone fruit. Contains spinosad, produced by fermentation. New chemistry for insect control. Can be used on vegetable, fruit crops, ornamentals, and turf. Controls caterpillars as well as beetles, leafminers, thrips, beetles and more! Comes in Pint size bottle of Concentrate.